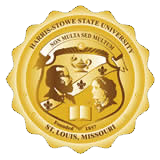 Harris-Stowe State University offers its students a wide variety of academic opportunities including workshops, institutes, field experiences and course work. The University offers Bachelor of Science degree programs. Each of these degree programs consists of two levels: (1) a lower-division level, which provides a general education foundation, and (2) an upper-division level, consisting of a specific set of professional studies that gives the degree program its name. Below are brief outlines of the University's academic programs and accreditations. The institution is an accredited member of the Higher Learning Commission. The cost of attendance for Harris-Stowe State University varies, depending on residential options selected by students. The institution publishes its tuition and fee schedule on the Bursar’s web site, with all options and cost projections for each academic year. Students enrolled in HSSU’s academic programs are encouraged to meet with their assigned faculty advisor, financial aid specialist, and/or student-success coach to discuss expectations for salary and employability in their chosen degree field. The Bureau of Labor Statistics makes a wealth of data available to help students evaluate post-graduation employability (e.g. http://www.bls.gov/oes/current/oes_mo.htm). For additional one-on-one career counseling, students may make an appointment with the Center for Career Engagement and Experiential Learning.